I’ve been hearing about 1964 custom IEMs for a few years now. But it wasn’t until recently that I had the opportunity to actually try the out. 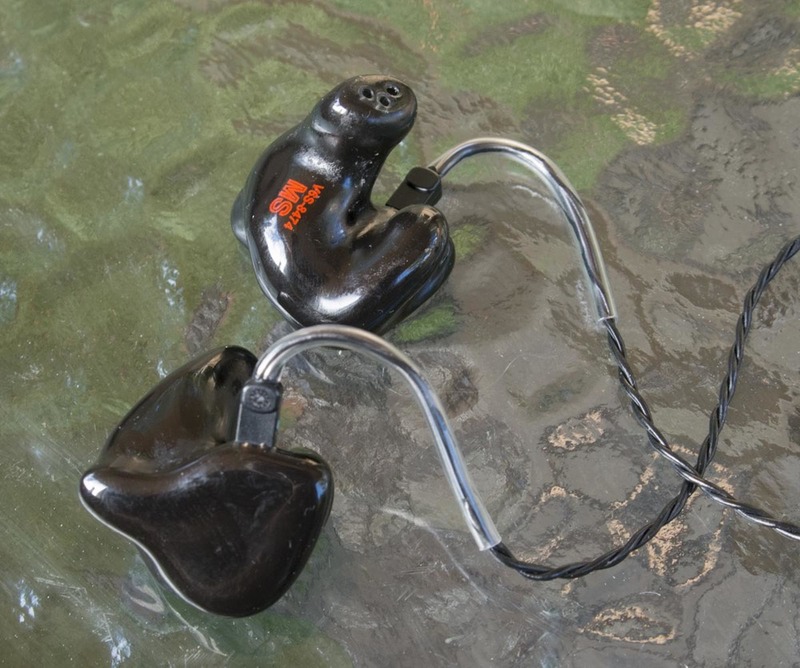 One challenge of buying custom-molded IEMs is simple; how do you try before you buy? And once you receive them, what if you don’t like them? Most IEM manufacturers, 1964 included, have developed universal fit versions of their monitors to give people a good idea of what they sound like. If you’re on the fence about a particular brand or model, try to sample them as a universal fit version first. To help me get the full experience of the monitors, I had a set of impressions taken, and 1964 sent me two models—the V6 Stage and the 1964-D Dual Driver. We’ll save the Dual for another review and focus on the six-driver V6 Stage. Compared to the more neutral V6, the V6 Stage puts more emphasis on the sub and mid frequencies. The V6 puts more emphasis on the highs. The V6 costs about $50 less, and would not likely be a bad choice. I don’t know how to test that claim, other than to say they sound really, really good. 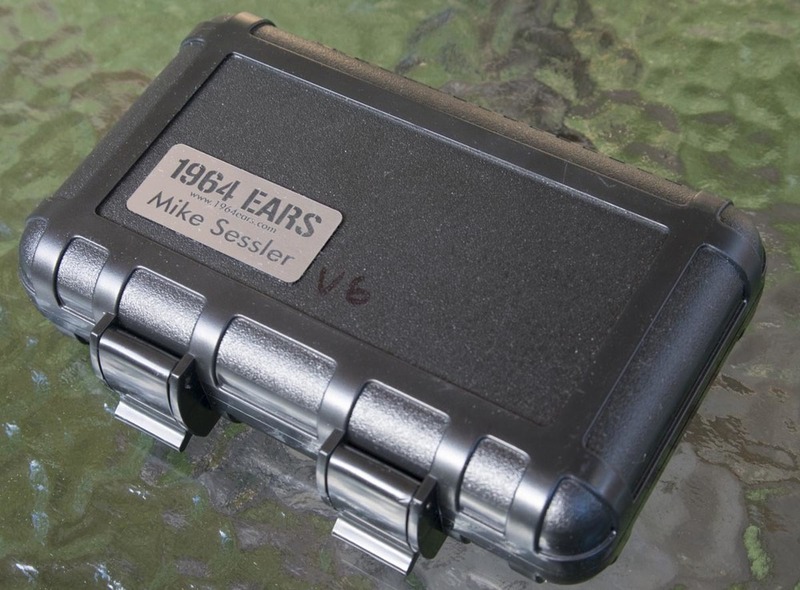 When I compared them to the other IEMs—both custom and universal—and it did appear the soundstage of the V6 Stage was wider and more defined than most of the others. Another design feature of the V6 Stage is the Center Drive™ Technology. Most IEMs use a balanced armature design, but these feature drive rods in the center of the diaphragm, which purports to deliver deep, rich bass. I don’t understand all the engineering, but I can tell you the bass is solid. They definitely had more low end than my normal IEM, the UE7, and seemed to go deeper than the UE900’s. While they didn’t quite create the feeling that I was sitting next to a sub like the Heil ProSet 3 headphones do, the V6 Stage goes deep with excellent articulation. In fact, while I’m writing this, I’m listening to Tower Of Power’s 40th Anniversary Live At The Filmore, and it sounds totally balanced. Some IEMs I’ve heard tend to get a little strident in the midrange, especially as volume increases. This is especially a problem for vocalists as they will likely have more midrange than say a bass player. As that mid buildup happens, they can become less pleasant to listen to. The V6 Stage is very smooth throughout the whole midrange. Even when I soloed our vocal group last Sunday, the mids were smooth and clean, with excellent articulation. I listened to a wide variety of music with them, and never found anything offensive at all, just smooth, clean and spacious sound. Like almost every custom IEM, the isolation of the molds comes in at around 26 dB. This is one of my favorite features of customs. Knocking down the ambient sound level by 26 dB is a huge boon to musicians playing near the drum kit or for sound guys repositioning mic's while the drummer is playing (I always put my ears in before going onto the stage). Ideally, this isolation means that the musicians can keep the overall levels down in their ears as they won’t be battling ambient levels. However, if you musicians like it loud, these are rated to go up to 115 dB (no mention of weighting, so I don’t know if it’s A or C). That’s going to be seriously loud, so I typically set the volume limiter on my wireless packs to not go louder than I think is safe. That’s a bit subjective and will probably open a can of worms, but we work with our worship team to establish safe boundaries. I used them on my recent road trip, listening to all kinds of stuff for both 6 hour flights to and from the east coast. They sound really, really good. I suspect these will become my regular flying monitors. They are a bit big. When compared side by side with my UE7’s, the V6 Stage’s look downright huge. I initially suspected the primary difference is that the UE7’s are a triple driver, while the V6 Stage has twice as many drivers in the housing. I believe I have average size ears, and these end up about flush with the outside of my ear. The UE7’s seat a little further inside—at least on the outside; the inside is about the same. When I pulled out the dual driver version, the back housing is about the same size as the V6 Stage. So perhaps 1964 just uses a bigger back shell than UE does. The other issue I noticed is that the stiffened portion of the cable as it comes out of the monitor is a bit short. The UE cables have about twice the bendable portion which allows you to form a nice curve for the cable over your ear. With these, the stiffened portion ended up near the top of my ears, so the cords didn’t tuck down behind as much as I’m used to. It’s not really a serious problem, but one I’d like to see addressed. Everything you need, all in it's place. This could be a pro or con, depending on your situation. The monitors come in a cute little Pelican-style case with the owners name etched on a plaque. The case is waterproof, and looks like you could run over it with a tour bus with no damage (don’t try this, OK?). On the downside, it takes up more space in my bag than my much smaller UE box. This is really a trade off between protection and size. You’ll have to decide which is more important to you. You could always re-package them in something else. In the interest of full disclosure, and so as not to run afoul of FTC regulations, both pairs of monitors were given to me at no cost. And by GearTechs. Technology for Worship is what they do. Audio, video and lighting; if it's part of your worship service, and it has to do with technology, GearTechs can probably help. Great products, great advice, GearTechs.